Values-Based Leadership (VBL) is in our Business Plan, our Annual Report and our Statement of Intent. VBL then is a set of skills to which NMHS has committed. That's because VBL can help us to more thoroughly practise those values that pertain to our employees, including respect, trust and fair treatment. Let's take a look at the man behind VBL and the articles that he writes in The Spinal Column each month. Hailing from Kansas, "the land of Dorothy and Toto" as he's often heard to quip, Kelly Gerling is only too aware of how difficult it can be helping people interact with others, helping people change old habits and helping re-direct large organisations with their various historical cultures. However, for five years he's now been supporting us from afar in our commitment to the principles of Values-Based Leadership. So where did VBL come from? It started from a personal tragedy in Kelly's life. As a 19-year-old, Kelly lost his Australian-born mother when she suddenly died. To this day, he believes his unhappy mother in all likelihood took her own life. As a result of the unresolved conflicts that contributed to his mother's death, he and his family of three brothers, a sister and a father, had gone through years of pain and turmoil. He experienced and witnessed what pain does to people and the resultant consequences. Also, from an early age his first organisational affiliation outside of his family, school, was painful as well. He tried to cope with boredom and authoritarian methods of education with humour. This led to a reputation of being a class clown and he still marvels that he was never expelled from school. From those life experiences, he knew he wanted to do something to help others who were experiencing similar problems, difficulties and tragedies, both in families and in organisations. As a result of this desire Kelly made an early decision to learn about psychology. However, his journey into psychology, took many side roads first. Initially he followed his love of science, eco systems and biology which took him to Arizona State University. After walking away from there with a degree in Environmental Resources and Agriculture, he joined up with an alternative community based near Chicago. The attraction was the community's stated desire to create a new mini-society within the United States. After living and working there as a member of the community and a builder for two years, Kelly discovered that the population of 250 exhibited the same communication problems and victim cycles that plagued the mainstream U.S. and most other modern societies. During his time with the community, he'd done a great deal of reading about the different ways of thinking and the types of consciousness that could be applied to problem solving. In 1978 he decided it was time to get out into the mainstream world again. He then worked toward an advanced degree so he could follow his ongoing passion for people and what makes them tick - psychology. For Kelly the definition of psychology grew to be the quest for fulfilment by exercising our minds. "I got quite enthusiastic about that before I began my degree in agriculture and environmental resources so when I left the community, I went right into my masters in counselling psychology." More specifically, he studied how conversations can help expand and deepen people's thinking so they can solve their problems. Kelly found himself fascinated at how people could go from being very depressed and feeling unfulfilled to being happy, feeling a sense of fulfilment and peace of mind through their own initiatives and better relationships. "I just loved that. I came from a family that had some wonderful relationships and closeness as well as some terrible dysfunctional difficulties and pain." It was this combination that led him to see conflicts in himself, so in many ways it also became a personal quest to see how he could have "better relationships more of the time and feel fulfilled most of the time". After completing his masters he began his own counselling practice in a small city, outside Chicago, called Kankakee. It didn't take long for him to realise he wanted to return to Kansas City and continue working with individuals, families and couples, which he did from 1979 to 1984. Kelly then began working on his doctorate through a university in California and this decision eventually led him to working closely with his future mentor, Virginia Satir. Virginia was one of the founders of family therapy in the 60s and through her involvement in his dissertation on conflict resolution and her mentoring, Values Based Leadership began to take shape in the mid to late 1980s. Through his years of counselling and watching people like Virginia work, Kelly became more and more aware of the inner conflicts people experienced in themselves as well as in their relationships with others. He worked with other mentors as well. 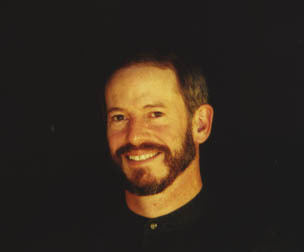 He developed a long association with some of the co-developers of neuro linguistic programming (NLP), John Grinder, Judy DeLozier, Connirae Andreas, Steve Andreas, and others. He worked with family therapist Ramon Corrales. He studied the work of some of his other mentors, such as Gregory Bateson in information sciences, Milton Erickson and his approaches to psychotherapy, and he continues his association with Noam Chomsky, a specialist in linguistics and social change at MIT. From these various investigations on human thinking and communication, he developed his simple and easy-to-follow VBL tools - preventing the victim cycle, integrity, empathy, objectivity, to name only a few. Three years later in 1991, Kelly decided it was time to branch out from family and couple counselling to set up a new business which he decided to call, The Leadership Project. After several successes in the public seminar arena, he decided to take the VBL concepts to organisations and by 1994 he began thinking of a marketable name, one that people could easily remember. Just as importantly, he wanted something that would reflect what his service was about - fulfilling values such as trust and respect, excellence and service, love and kindness. "I wanted something that everyone could relate to and that was still true to what I wanted to do, which was for people to fulfil important values and to help people prevent pain from having their values violated." From this came the name Values-Based Leadership and after awhile he realised people were shortening it to VBL, which was ideal! Over the years he has built up his client base and has delivered his message in Indonesia, Mexico, and Argentina. "I work hard to support organisations such as Nelson Marlborough Health Services as a writer, educator and catalyst. When I am part of a process that helps people feel like coming to work on Monday morning, then that's exciting," he says. So in his own life, how does VBL work? Kelly is the first to say he doesn't always get it right. He says, "The philosophy behind VBL is not about being perfect or never making mistakes but about being aware of the need to respect others, being open to their complaints and pain, and being comfortable apologising. It also involves expanding our thinking, reducing victim behaviour and preventing victim cycles, both toward others and inside ourselves." "VBL in my own case, involves recognising when things aren't going right and doing my best to fix them. It's about listening, understanding, and often apologising, and working to do better next time. The end result for me is a growing sense of contentment, delight and inner calmness. "Even with lots of effort, I always fall short of my ideals. But that's OK, because if I'm not falling short, then it means I'm not reaching out far enough."